Mar Las Calmas is a great and large protected reserve where marine life is extremely abundant. 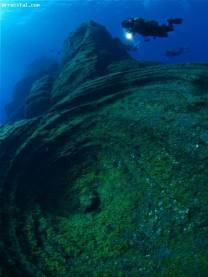 The Restinga Fishing Reserve within Mar Las Calmas with 12 restricted diving sites. Protected from winds and currents is an area where you are able to fish and participate in all manner of water sports. You can dive at the diving sites of El Bajon, Baja Rosario, El Salto, Tacorón, Roque de Tacorón, Cueva del Diablo, Punta del Lajial, Punta las Cañas and La Herradura.